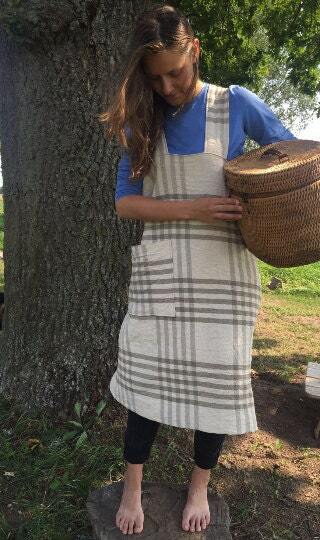 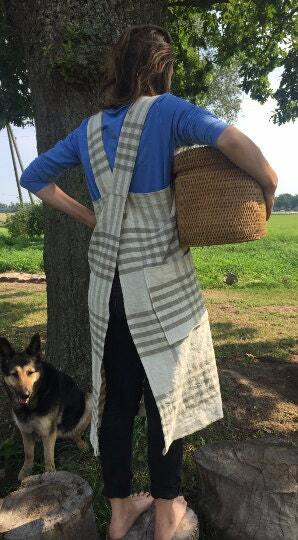 Durable linen apron in a fantastic tartan pattern. 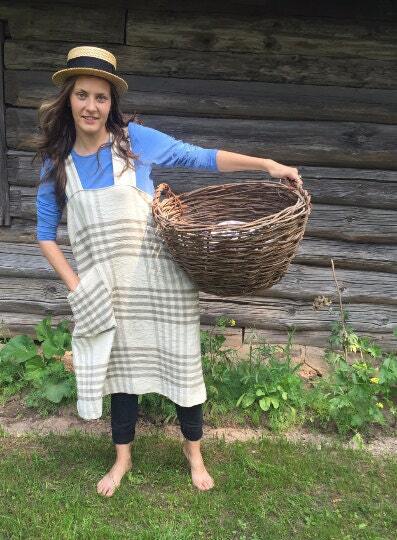 Excellent to wear at your studio, doing crafts, while gardening or cooking. 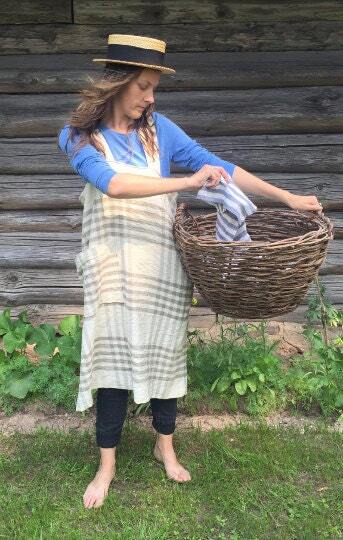 Made from 100% pure, thick European linen and has a handy patch pocket on the right hip.